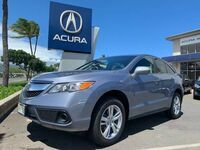 The 2019 Acura RDX Standard and the 2019 BMW X3 xDrive30i are both formidable vehicles in their own right, but today we are having them compete for your attention. Only one of them can become your next vehicle. You can probably guess which one our favorite is, but we want to tell you why Acura vehicles hold a special place in our heart. We can prove their worth in this side-by-side chart comparison with more details below. We will start out with the basics, and then get into the intricacies as we pit these vehicles against each other. Come with us as we compare the 2019 Acura RDX Standard to the 2019 BMW X3 xDrive30i. As you can see in the chart above, the 2019 Acura RDX Standard vehicle has a lower base price. However, it even comes in a lower price when both vehicles are comparably equipped. With similar features, the 2019 Acura RDX will sell for $38,395 and the 2019 BMW X3 will sell for $49,045. Obviously, with BMW you are going to be paying a lot for every feature, and that’s for a vehicle with less residual value after 36 months, and a shorter powertrain warranty to keep it running. Other than the Power Moonroof mentioned above, the 2019 Acura RDX Standard comes with standard Voice Activated Controls for Audio and Bluetooth ® Wireless Enabled Devices, Adaptive Cruise Control, and Front Heated Seats, while all of these options are only optional on the 2019 BMW X3 xDrive30i, meaning that you have to add them on for an additional cost. Lastly, we would like to point out that the 2019 Acura RDX Standard is larger in terms of length, height, width, ground clearance, total cargo volume, maximum passenger volume, front and rear legroom, and front and rear shoulder room. The extra space will make you more comfortable in the long run. 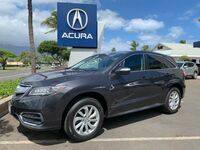 We hope that you see the value we see in the 2019 Acura RDX Standard and will consider coming into Acura of Maui to check it out. *Prices shown are Acura suggested retail prices only and do not include taxes, license or destination and handling charge. Acura vehicle accessory costs, labor and installation vary. Dealers set their own prices. Please consult your selected dealer.